As commonly known the first real diver from Seiko was the 62MAS (6217-8000) that was released in 1965. This watch is commonly associated with the ZLM01 waffle strap but the watch was never sold with this strap. All of the official period photos of the 62MAS show the watch on a Tropic style strap. 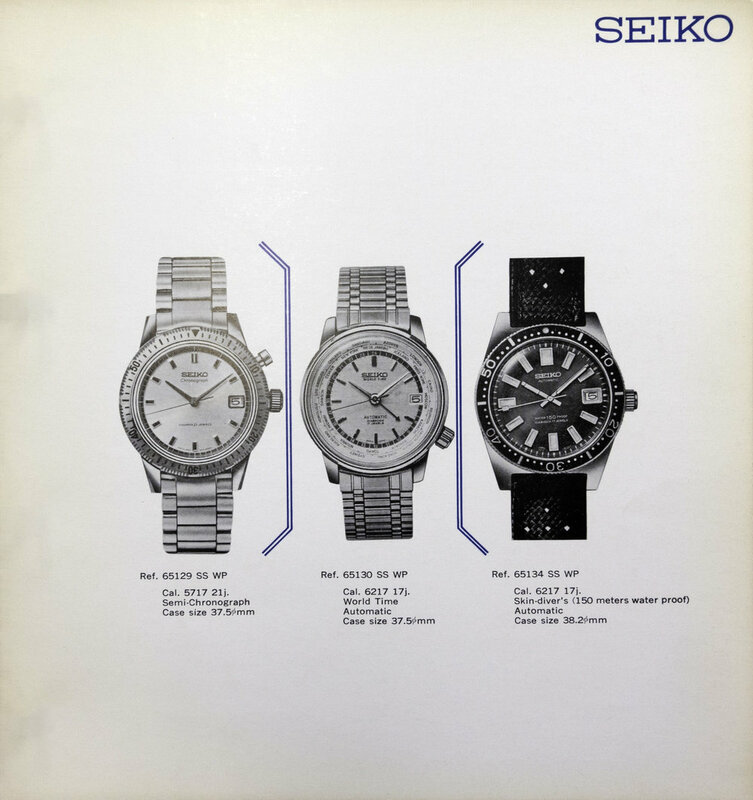 When first announced in August 1965 the 62MAS was shown in the Seiko News publication. In this shot a short section of both the upper and lower parts of the strap can be seen. The strap has a distinctive hole pattern and a basket weave finish. As you can see it is presented on the tropic strap right from the introduction. Throughout the life of the product all of the product shots for the 62MAS show the watch displayed on this strap. This same strap can be seen on the rear cover of the company internal staff newsletter "Suwa Let's Go" from November 1965. As the 62MAS was the first diver from Seiko it is not surprising that they did not produce a dedicated strap at the time. 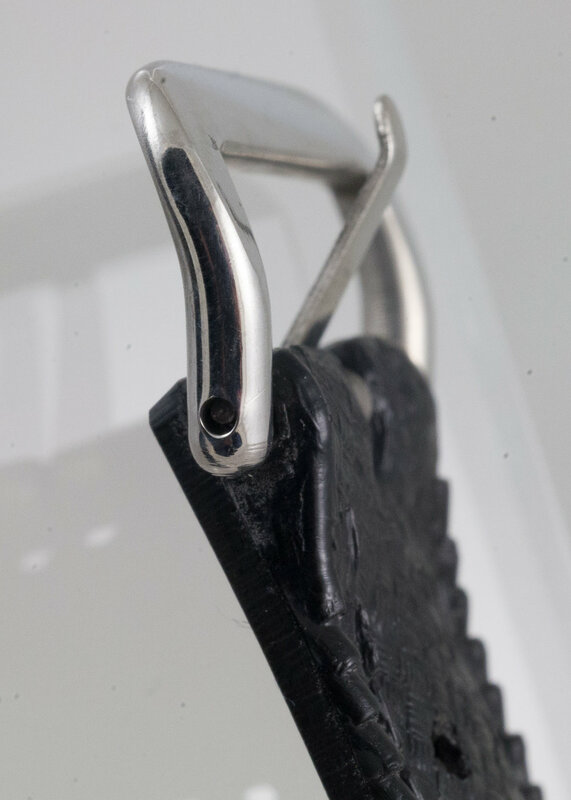 Tropic straps were used on many dive watches from various manufacturers, including Rolex and Tudor Submariners, Blancpain Fifty Fathoms, Longines Super Compressor and others throughout the 60’s and 70’s. It does seem logical that Seiko would have initially turned to Tropic for the supply of a dive strap, but with Seiko’s philosophy of producing all parts of a watch the rapid development of the ZLM01 was to be expected. As can be seen in the product shots the strap has the basket weave pattern commonly seen on Tropic straps. The unusual feature is the hole pattern, with three holes across the lower strap section but just two holes on the upper section. 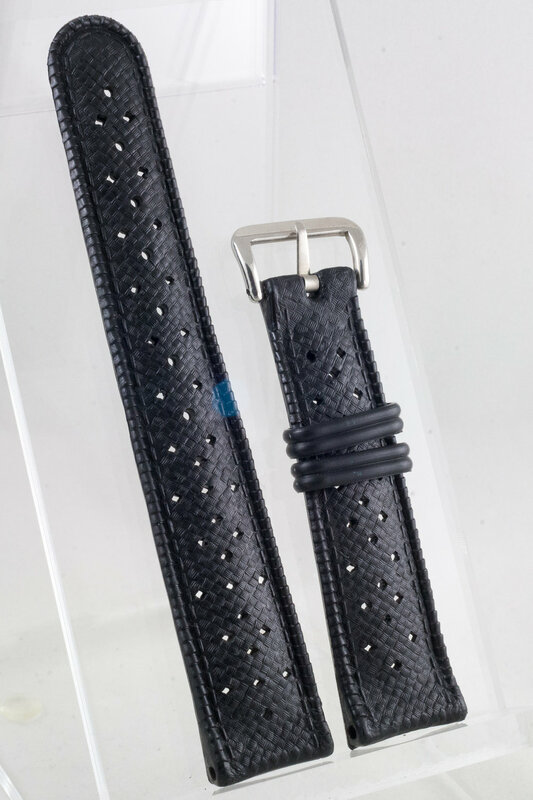 Normally Tropic straps have a pattern with just two holes wide on both sections of the strap. A three hole pattern was seen occasionally on 22mm straps but the narrower straps are almost always seen with just the two holes. While this configuration is unusual I did find an advert from the same period showing a Lip Blancpain Fifty Fathoms with a three hole strap. 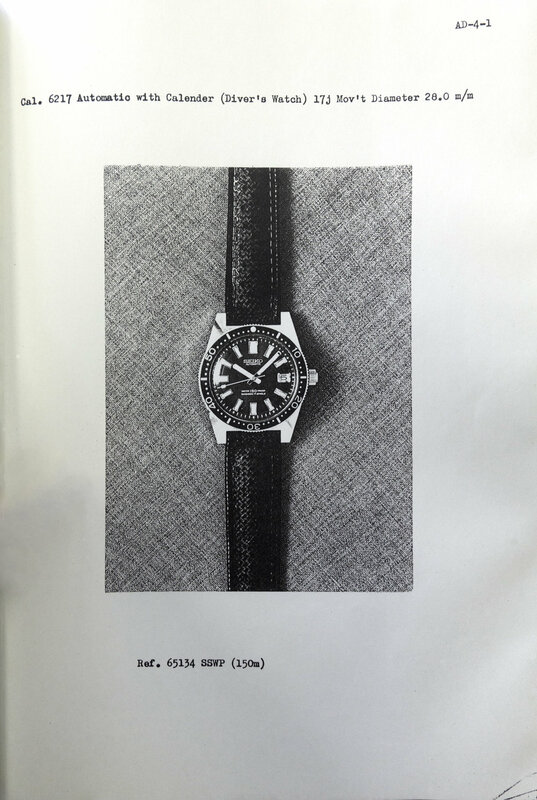 In addition to the JDM catalogs and brochures the 62MAS is also presented on the same strap in the international export catalogs from 1965 and 1966. 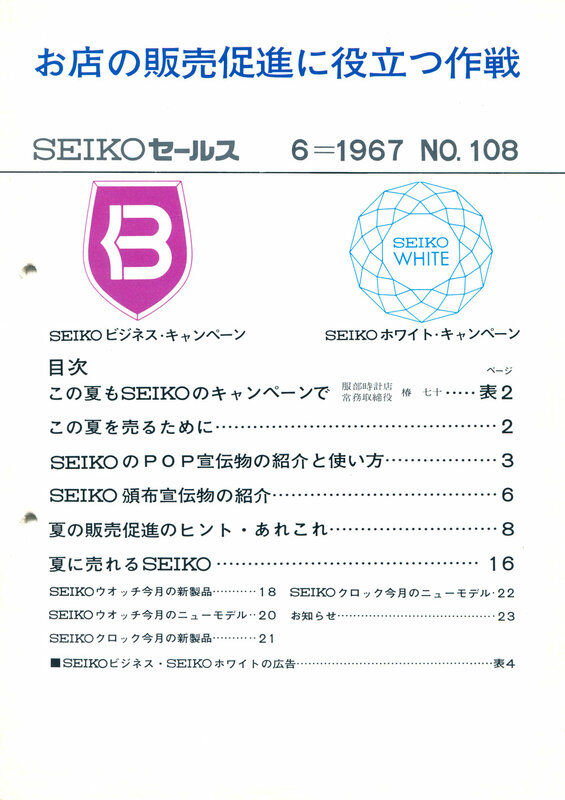 The 62MAS does not appear in the 1967 Seiko international export catalog. 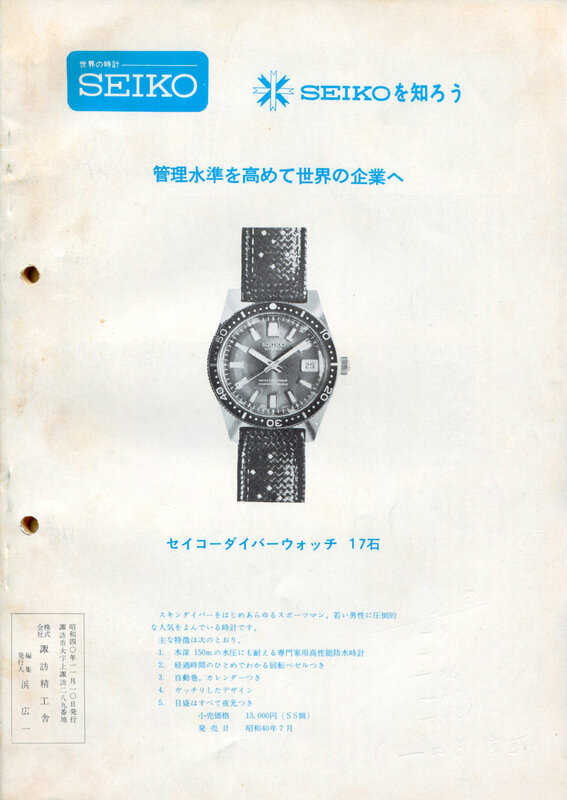 The strap can be seen displayed again in a Japanese printed magazine advert for the 62MAS. This product shot can also be seen in a Japanese Seiko Summer brochure from 1967. The 62MAS model finished in early 1968 but the last JDM catalog it appeared in was the 1967 Volume 2 edition. Shortly following this was the 1967 Volume 2 Supplement that introduced the 6215-7000 model. As you can see this was watch introduced with the first Seiko designed dive strap the ZLM01 "waffle". 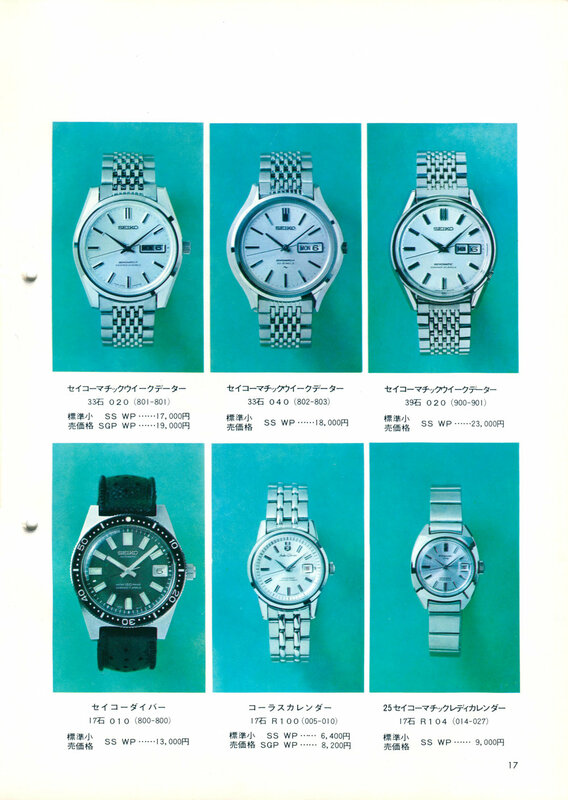 The last official image of the 62MAS I can find is in the June 1967 Seiko News Sales issue which features both the 6215 and the 62MAS. Clearly visible is the distinctive hole pattern of the strap. Also in the same issue is an introduction of the 6215 that can be seen with the ZLM01 waffle strap. The interesting thing about the image of the 62MAS in this publication is that it would have been produced for this issue as the watch is shot against a green background to match the other watches shown. I think that is it likely the ZLM01 would have been provided as a replacement strap for customers when they purchased replacement straps or had their 62MAS serviced as it is produced by Seiko. A 62MAS is actually shown with a ZLM01 in the book “Seiko - A Journey in Time” but this was produced in 2003 so it is likely through this type of association that people have linked the 62MAS and the ZLM01. I have been aware of this rare Tropic strap for a few years but have never seen one come up for sale. Eventually I managed to locate an example while browsing Yahoo Japan and saw a poorly described strap. This strap had the distinctive three hole pattern on the tail and was 19mm wide so I put in a bid and won the auction. The strap has the same soft very pliable feel that the vintage Tropic straps are known for. This strap is more flexible than the ZLM01, but they both feel really good in comparison to other older rubber straps. As you can see the tail section of the strap has three rows of three holes. These are separated by a single hole, two holes and another single hole. As the strap narrows the holes become two wide. All of these ventilation holes are diamond shaped. The strap has seven sizing holes and these are all round. The strap is marked on the lug ends as Tropic, Swiss Made and 19mm. The buckle end is marked MOD. DEP. which means Modèle Déposé or registered design in French. The buckle is stamped Seiko. The buckle is drilled through and has a flattened top surface. The general design of the buckle is similar to the one on the ZLM01 but is a little less flared. The other obvious difference is the buckle tongue. On this strap the tongue is flat but the tongue on the ZLM01 has a rounded top surface. The end of the strap is rounded in comparison to the more common squared wedge design that Tropic straps are usually seen with. The strap has the following measurements. I am very happy that I was able to acquire this strap and document the details. As it is so rare I decided to donate this to the Seiko Museum in Tokyo. Currently their 62MAS on display has a terrible looking thin modern band on it. While I would love to have it in my collection I think it is better served in the museum where many more people will be able to see it. The museum has around ten thousand visitors per year. I hope this was of interest to people and it helps to clear up some of the mystery around the band shown in the early product shots. Update: I visited the Seiko Museum in February 2017 and saw the original strap now fitted to the 62MAS on display.